Unleash the Power of the Primes! 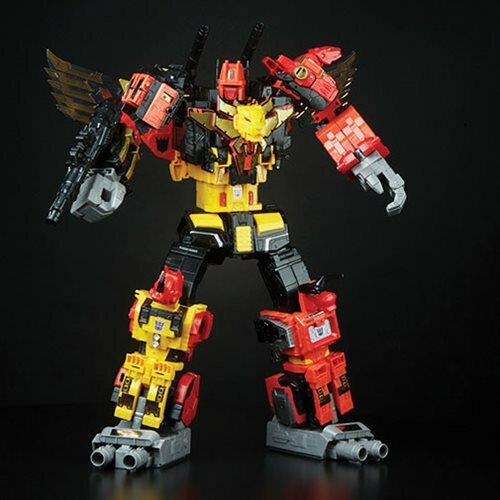 Five robots combine to form 18-inch tall Predaking! Divebomb, Headstrong, Rampage, Razorclaw, and Torox convert into beasts. 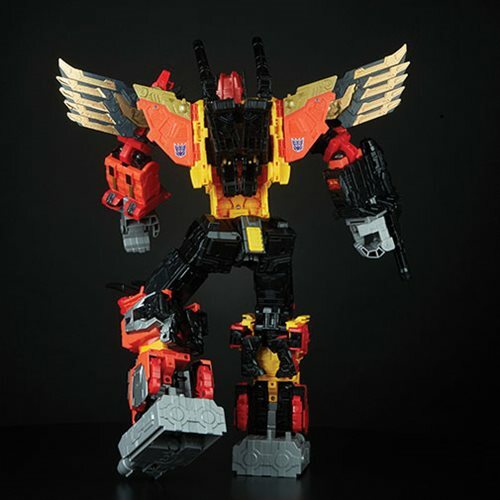 Onyx Prime Prime Master figure and Onyx Matrix included! 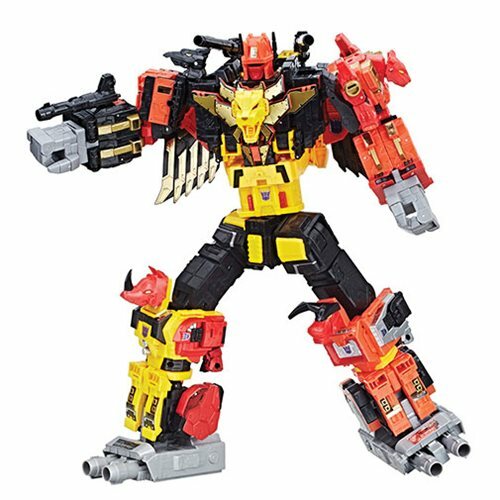 This Titan Class Predaking figure is the largest in the Transformers: Generations Power of the Primes lineup. 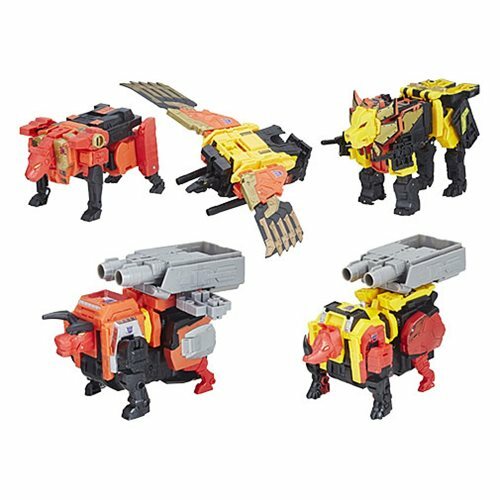 This all-in-one Predaking Combiner set includes five 7-inch scale plastic Voyager Class Predacon figures - Divebomb, Headstrong, Rampage, Razorclaw, and Torox - that convert from robot to beast and combine to form a menacing 18-inch tall Predaking. 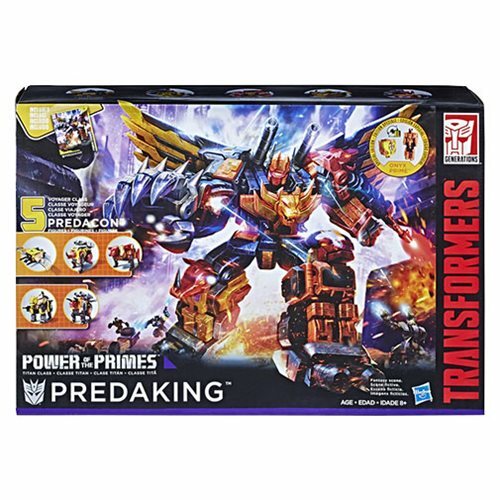 Insert the special edition Onyx Prime Prime Master figure into the included Onyx Matrix accessory and imagine that Predaking wields power beyond imagination! Poster and instructions included. 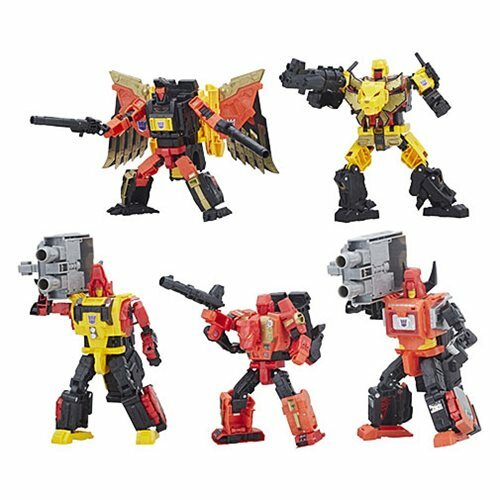 The Autobots and Decepticons use Prime Masters to wield the incredible powers of the legendary bots who shaped the universe - the Primes. Anything is possible and everything is at stake when the Power of the Primes is unleashed! The Big Bang Theory/TOS Amy Fowler 3 3/4-Inch Figure - Excl.